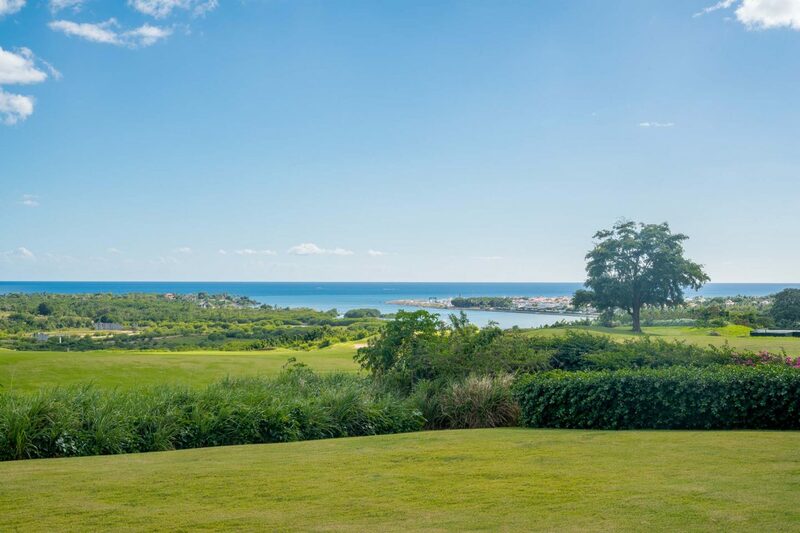 A true Sun, Sea and Golf Paradise, this inspiring residence offers plenty of serenity and tranquility and can easily become a peaceful place of refuge for you and your family. 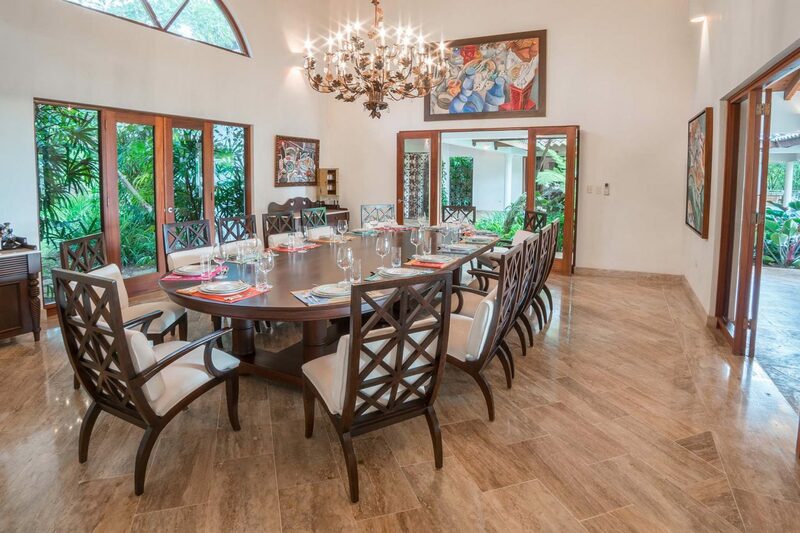 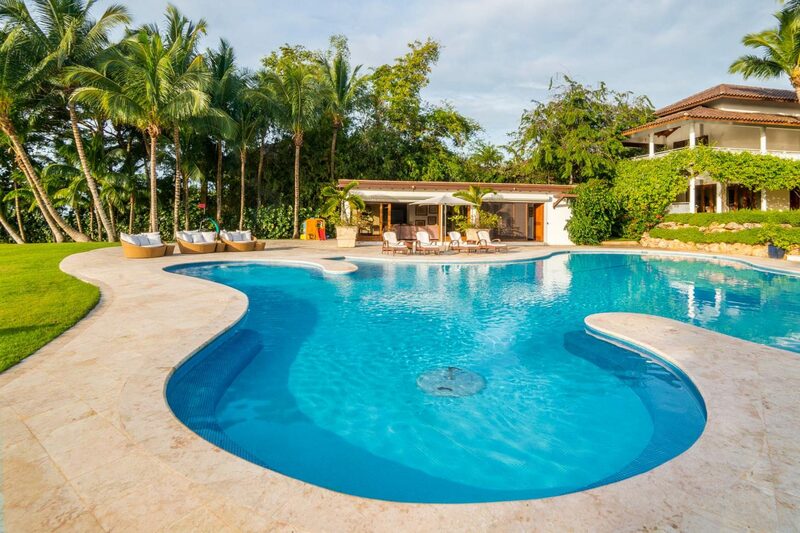 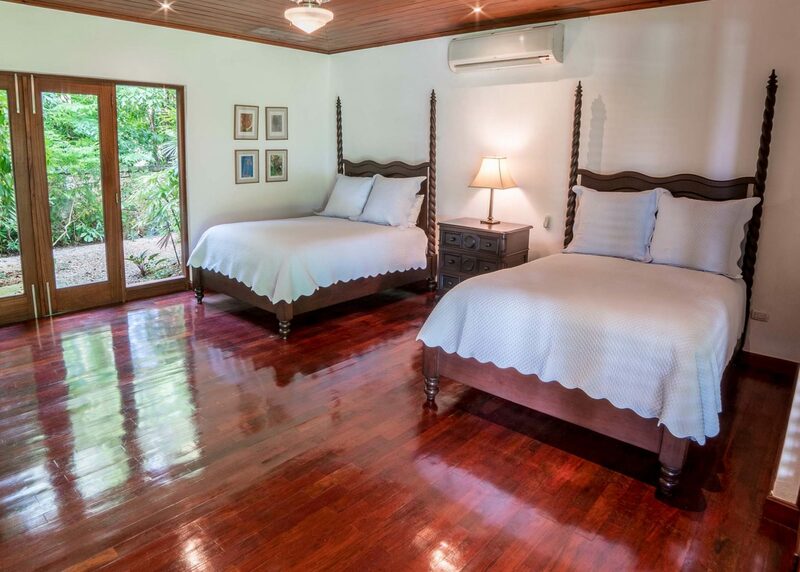 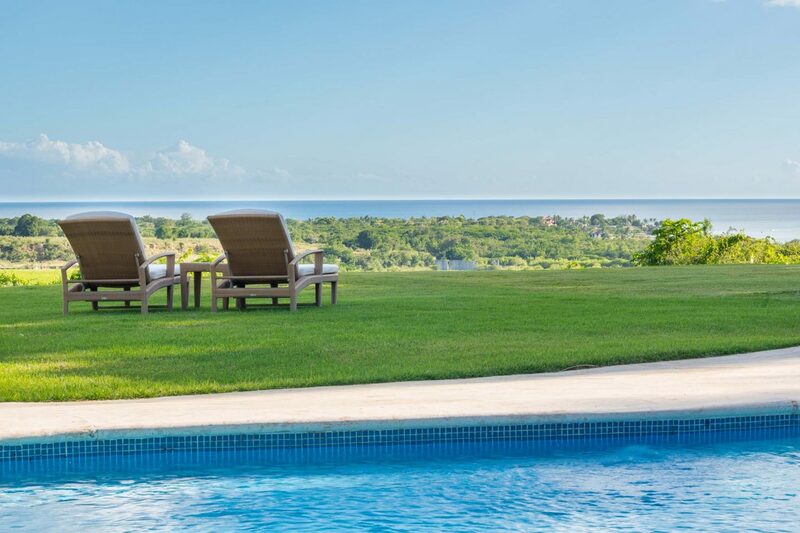 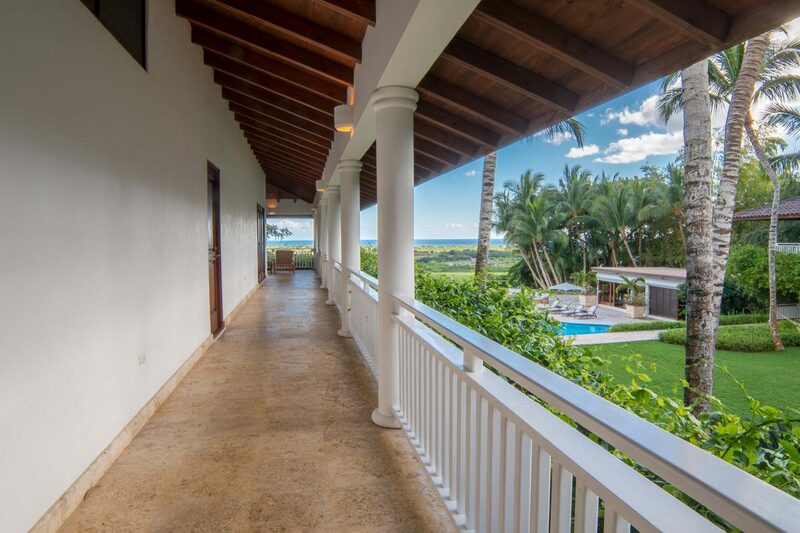 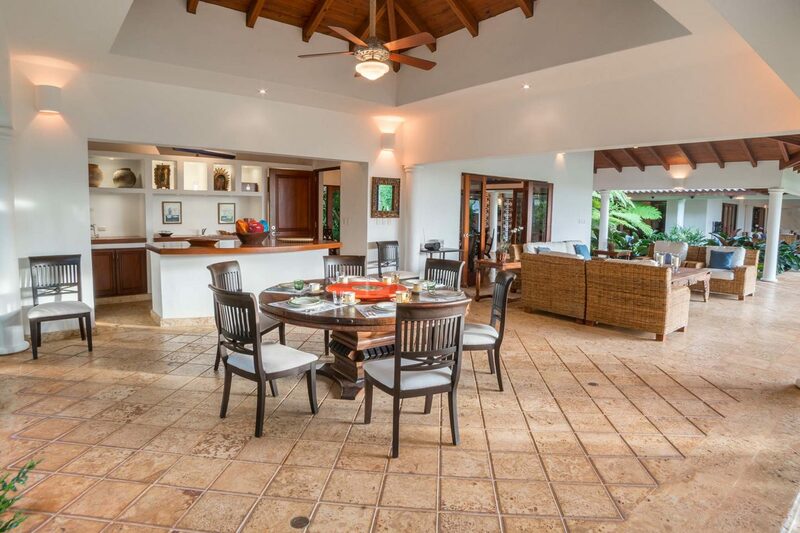 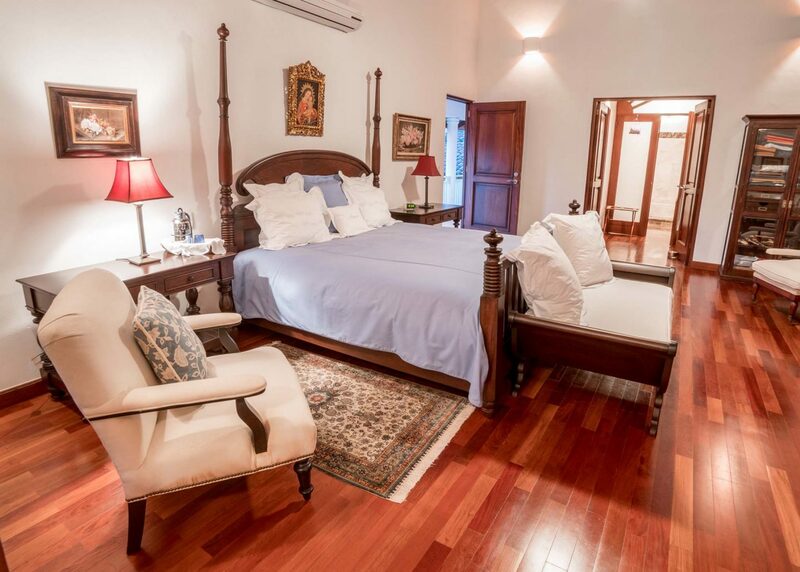 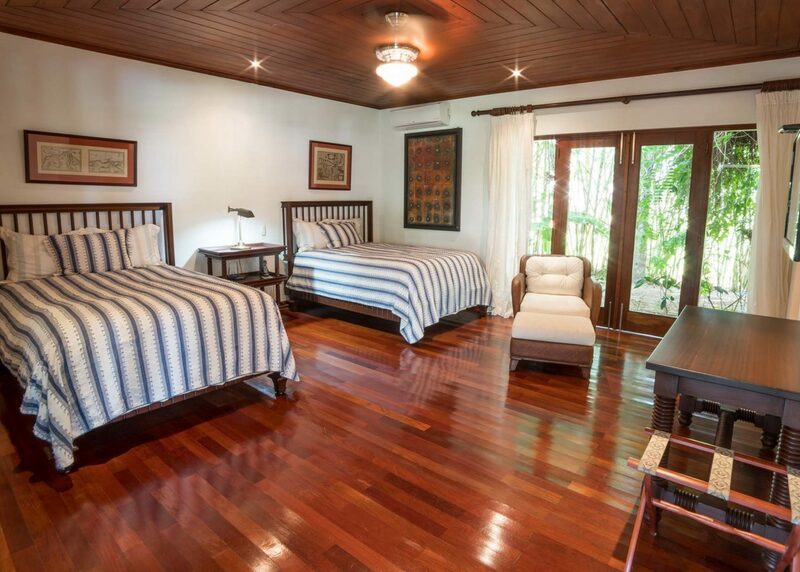 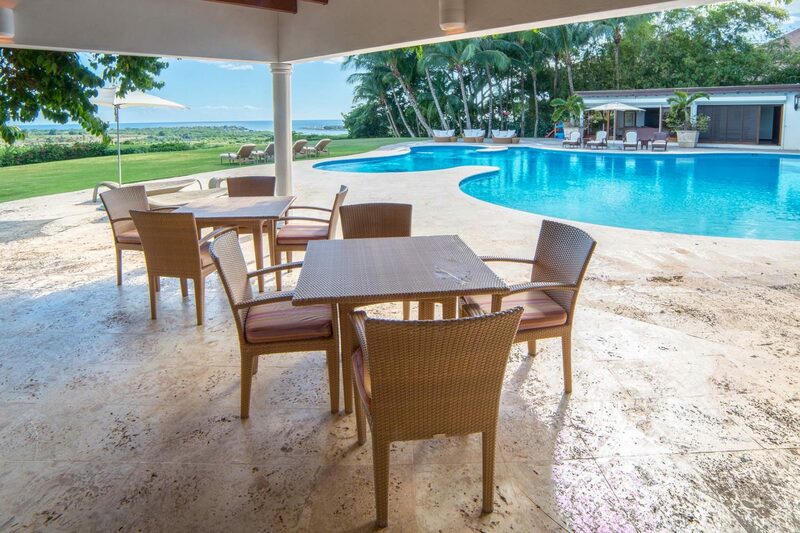 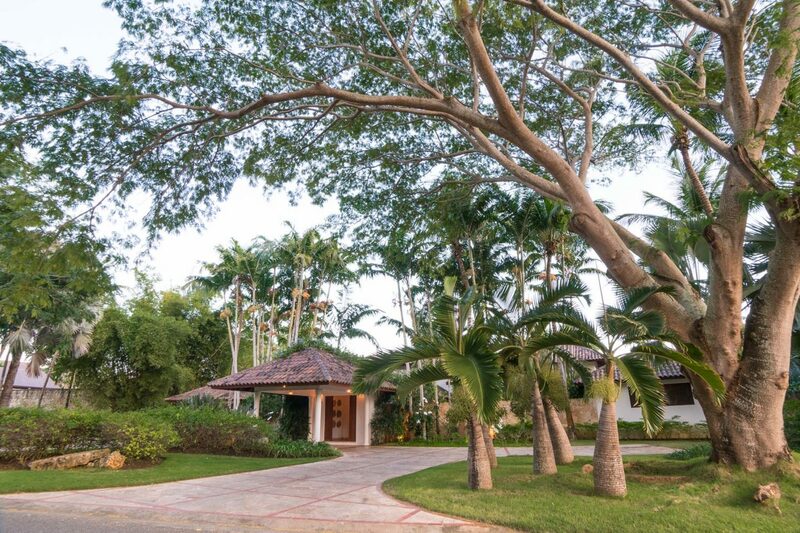 Vista Chavon # 16, also known as “Villa Solera,” has abundant gardens and is oriented towards the southeast to capture the year-round sea breezes and the wonderful morning light. 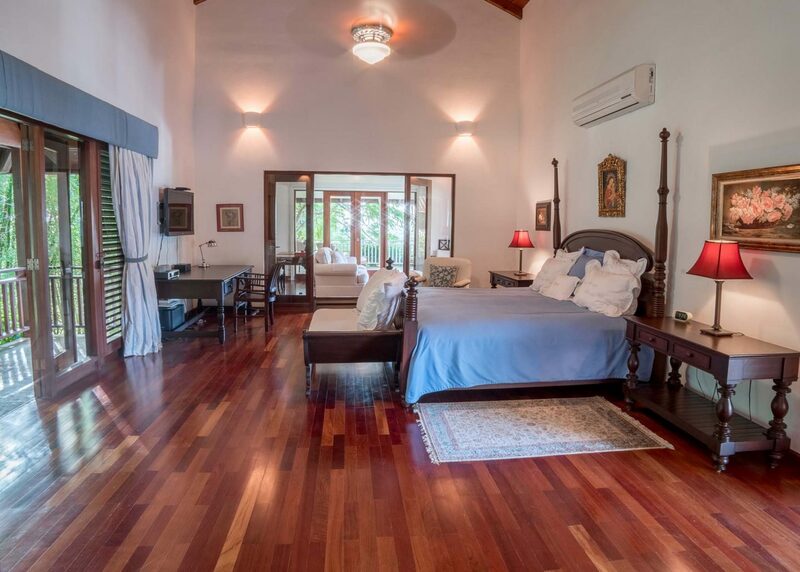 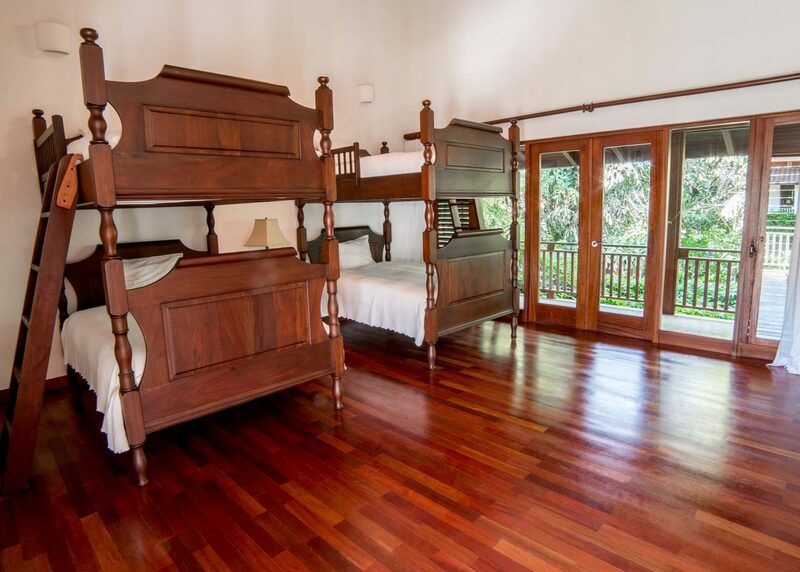 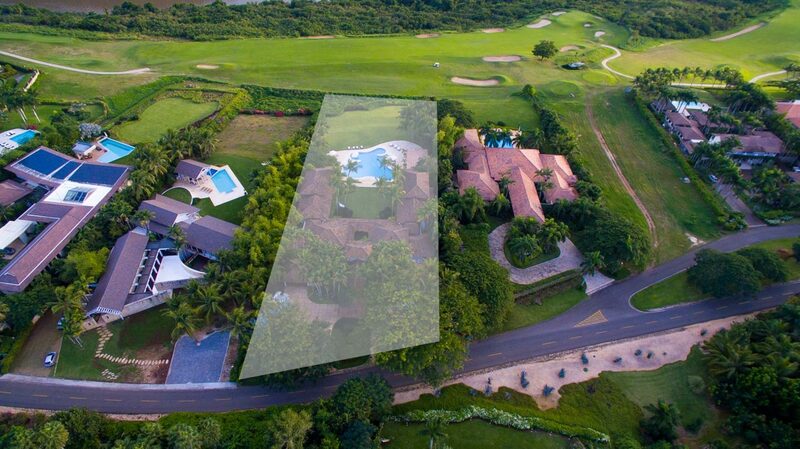 An extraordinary ‘Colonial’ style property which is in harmony with its surroundings allowing you to be able to live in total freedom. 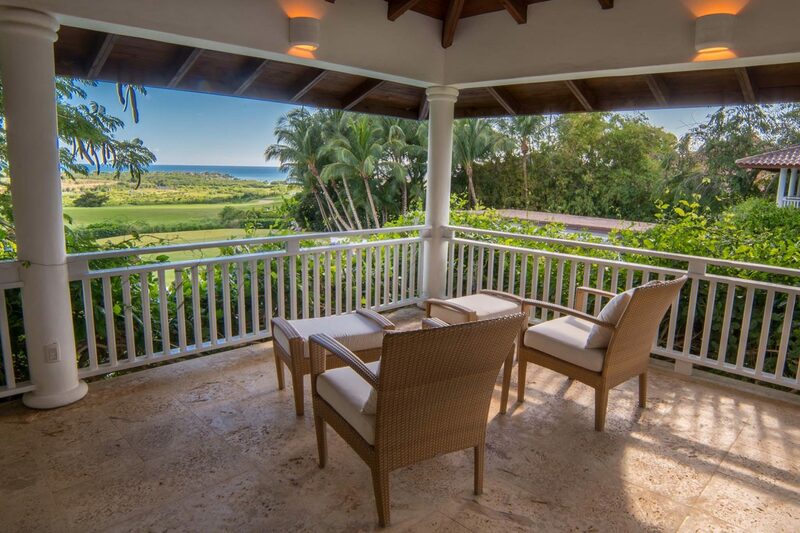 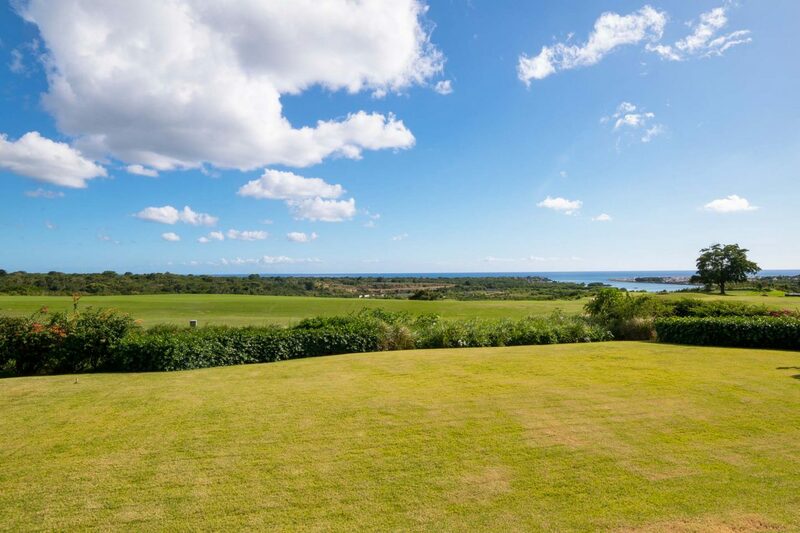 This Ocean and Golf view estate exudes relaxation, comfort and sense of accomplishment unmatched by any other home. 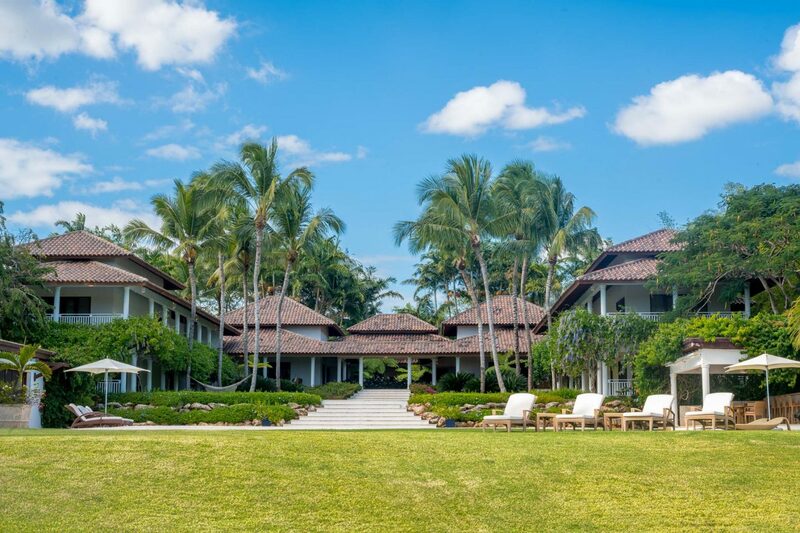 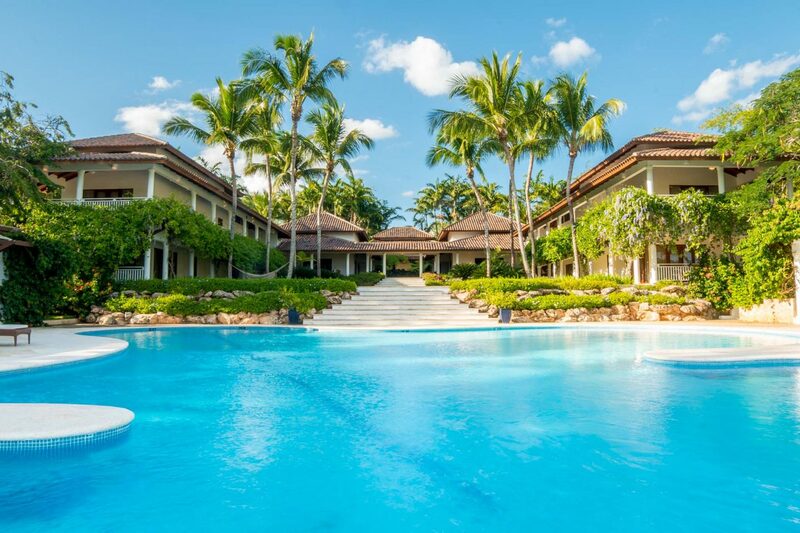 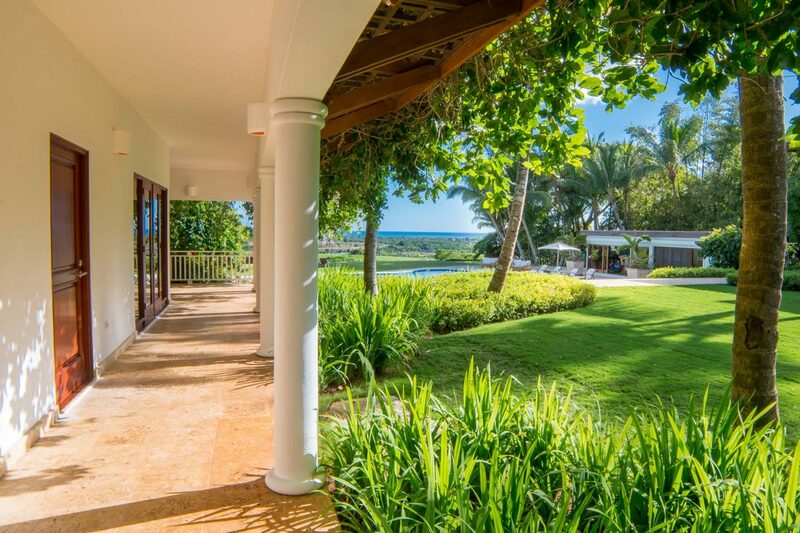 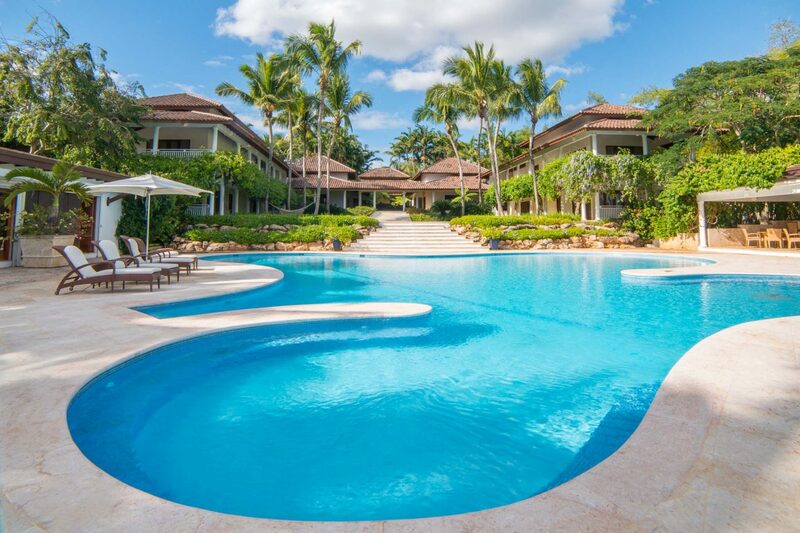 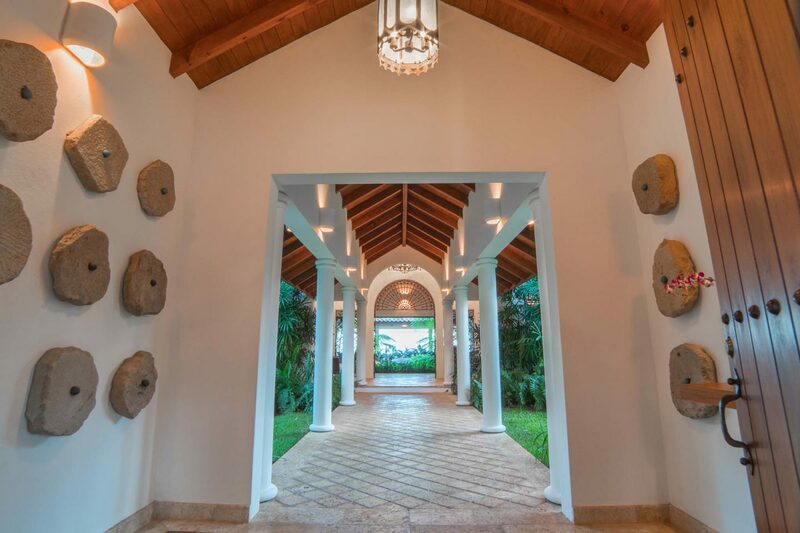 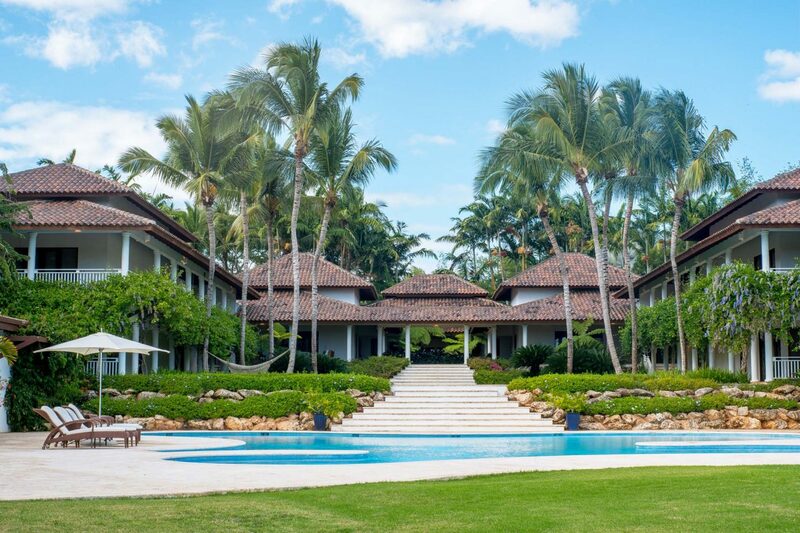 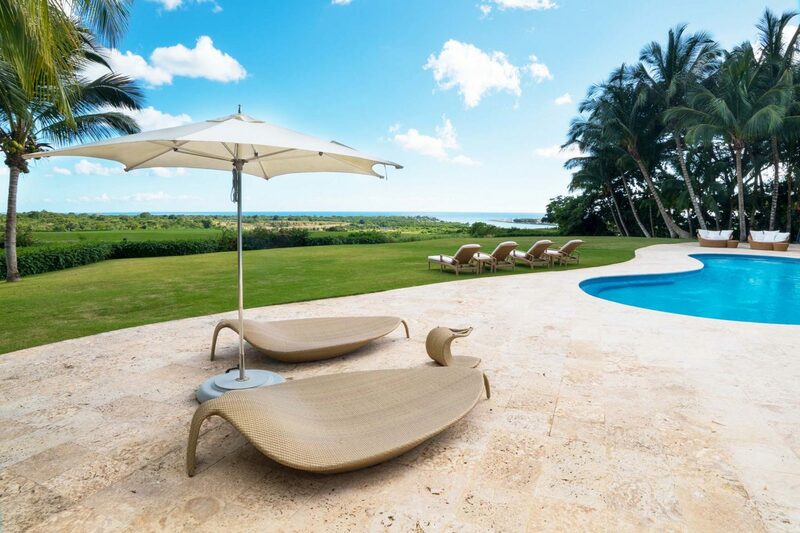 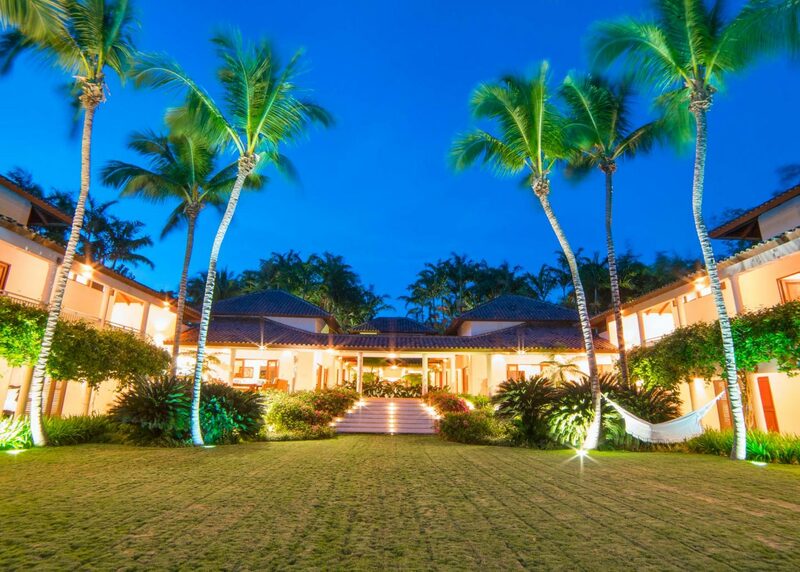 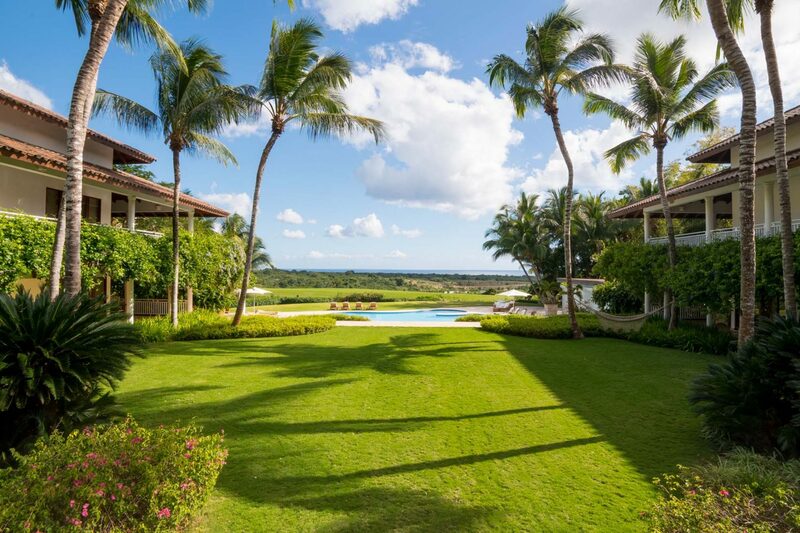 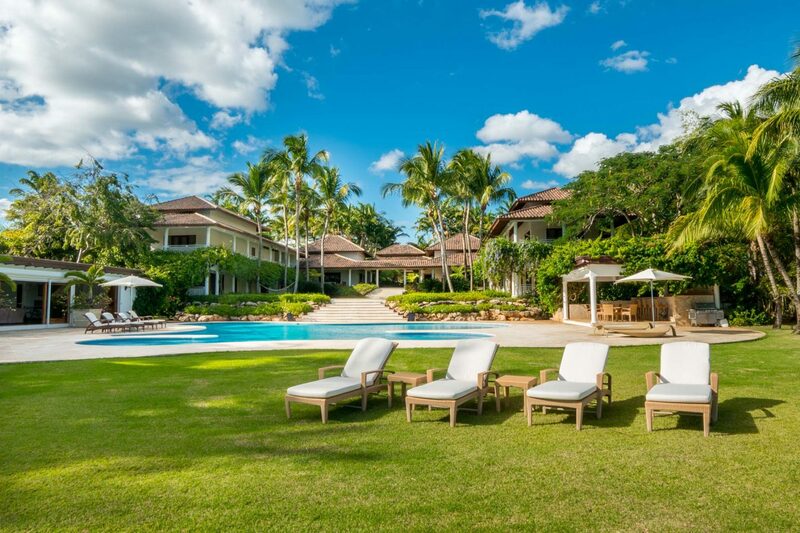 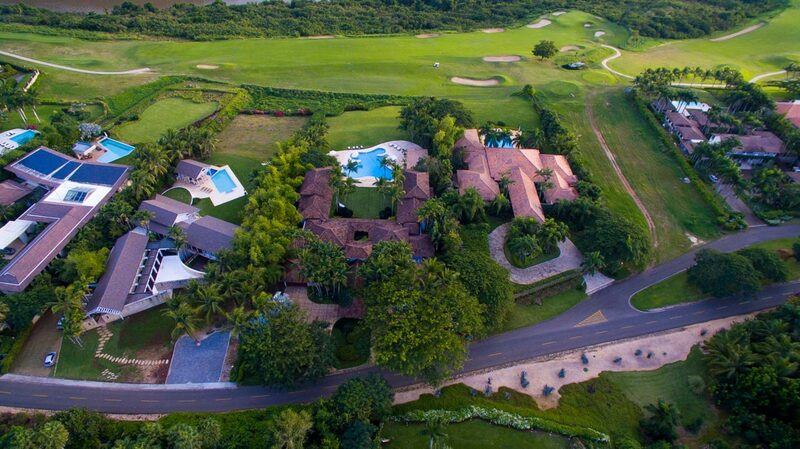 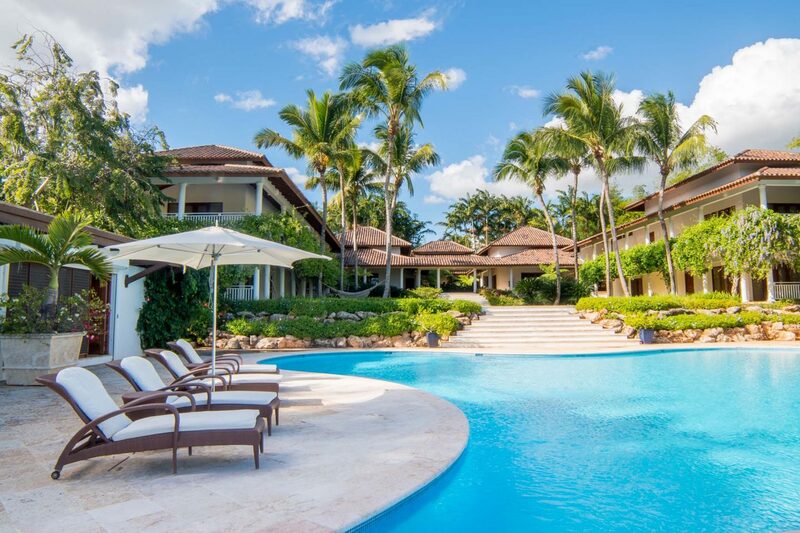 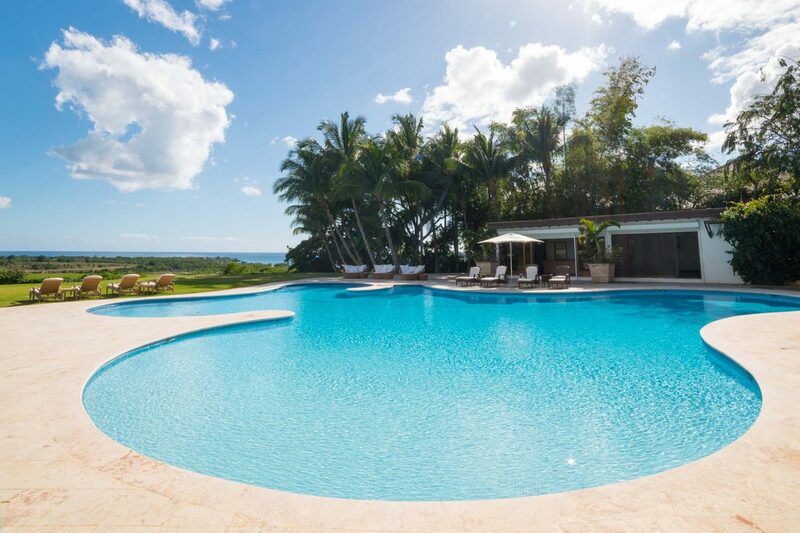 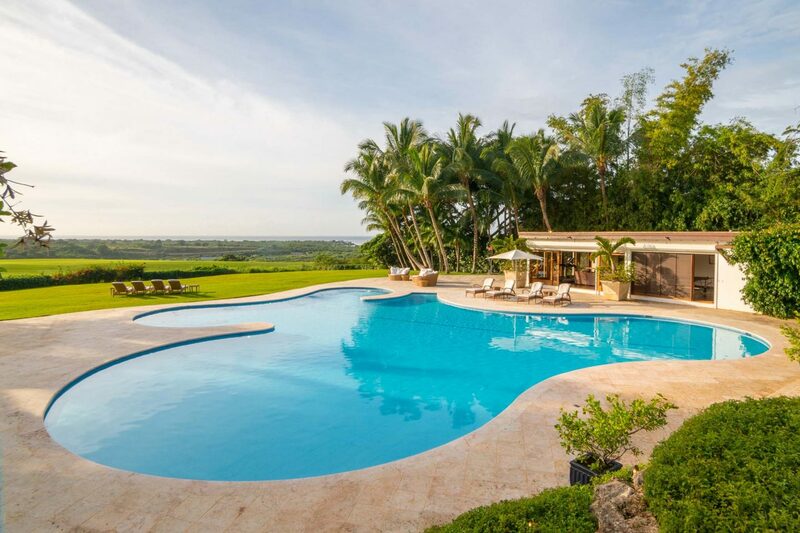 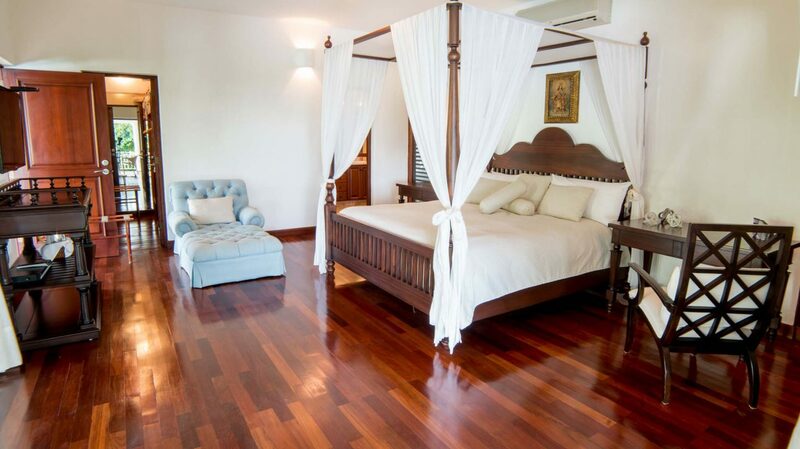 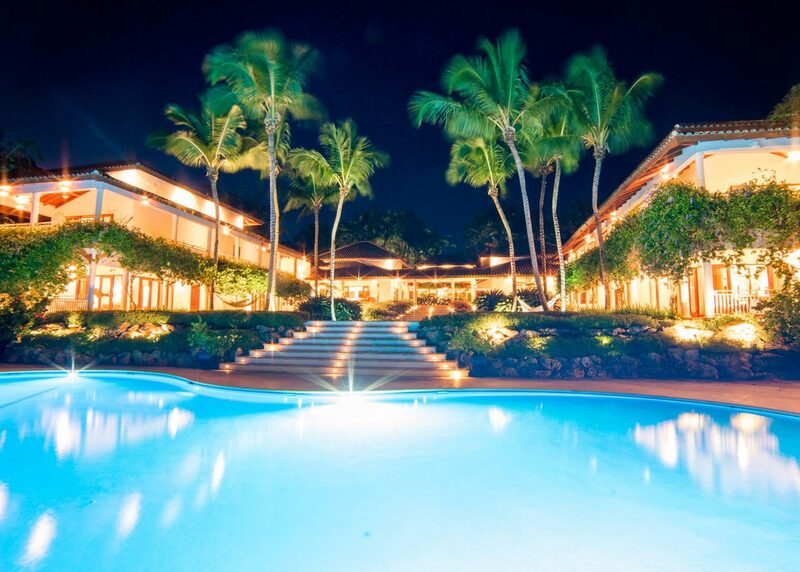 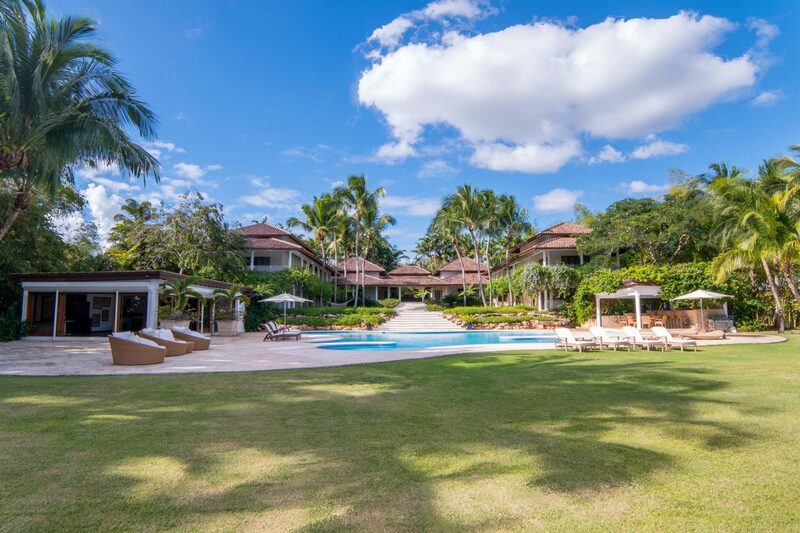 Located in Casa de Campo, La Romana, “Solera” combines majestic views of the turquoise waters of the Caribbean Sea and the vibrant green colors of the Dye Fore golf course, with a simple and well-defined morphology, which seeks the balance between the interior space and its relationship to mother nature. 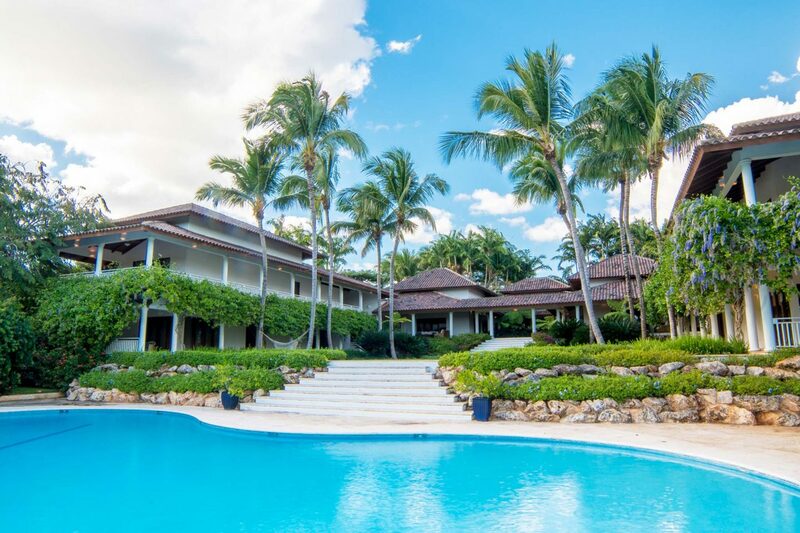 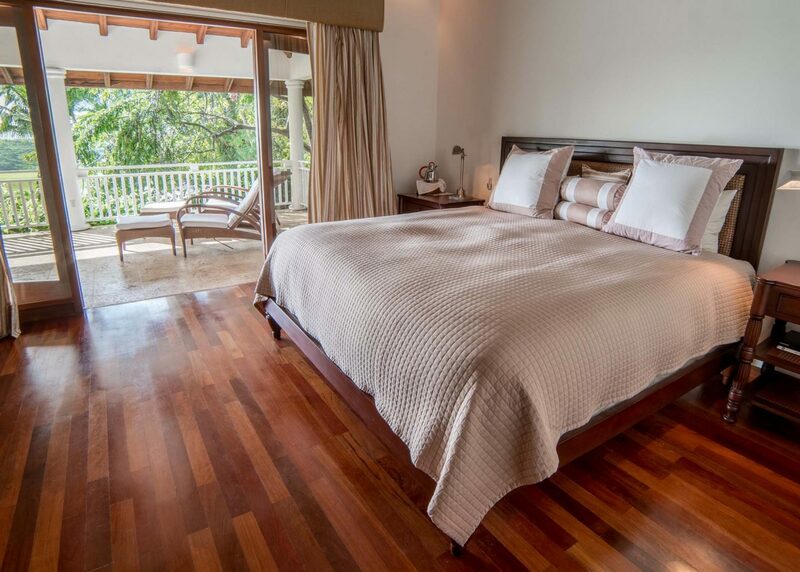 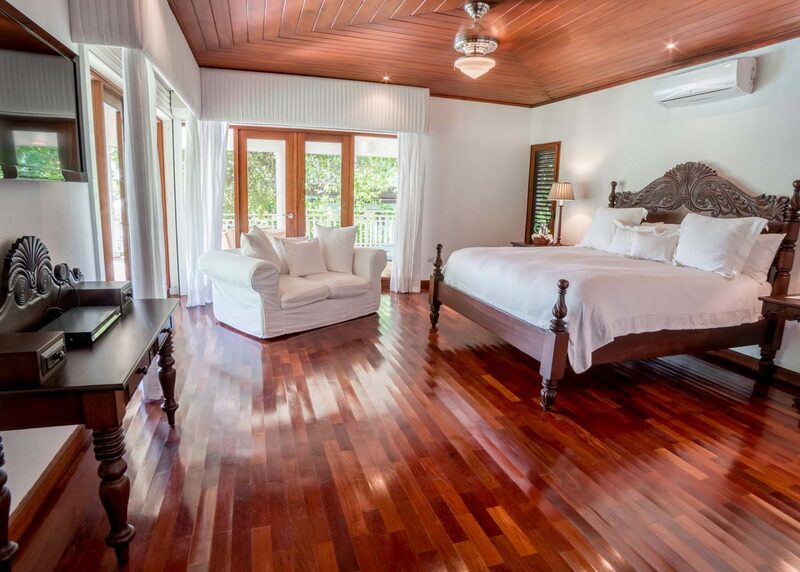 Featuring 7 bedrooms overlooking the ocean or botanical gardens, eight full bathrooms and three additional guest bathrooms, within an impressive 1,643 square meters of high quality construction featuring organic finishes in coralina stone and mahogany. 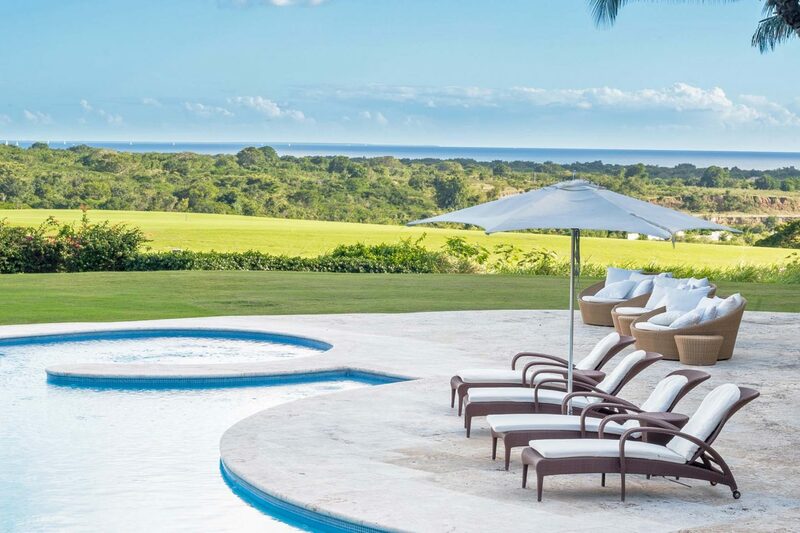 Whether in the private study room, in the playroom next to the pool, in the gazebo or in its sumptuous backyard, the aura and spirit are vibrant, calm and harmonious. 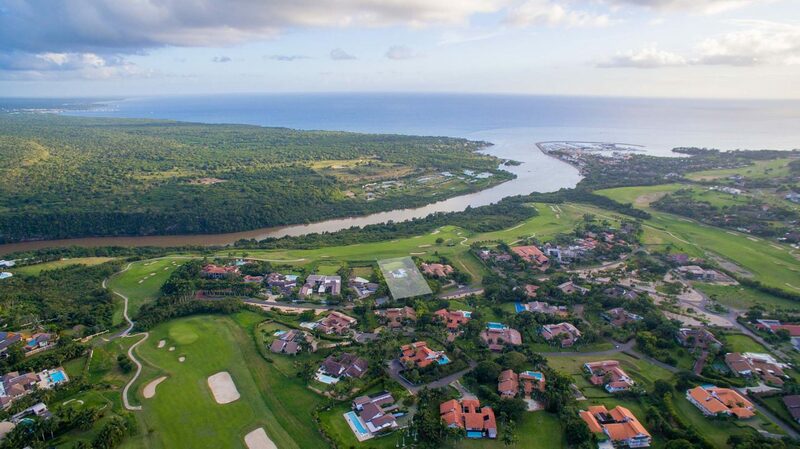 An incomparable picture framed by the Caribbean Sea, the Marina of Casa de Campo, Catalina Island, Bayahibe and Isla Saona and the Chavón River; the most privileged locations in the Caribbean. 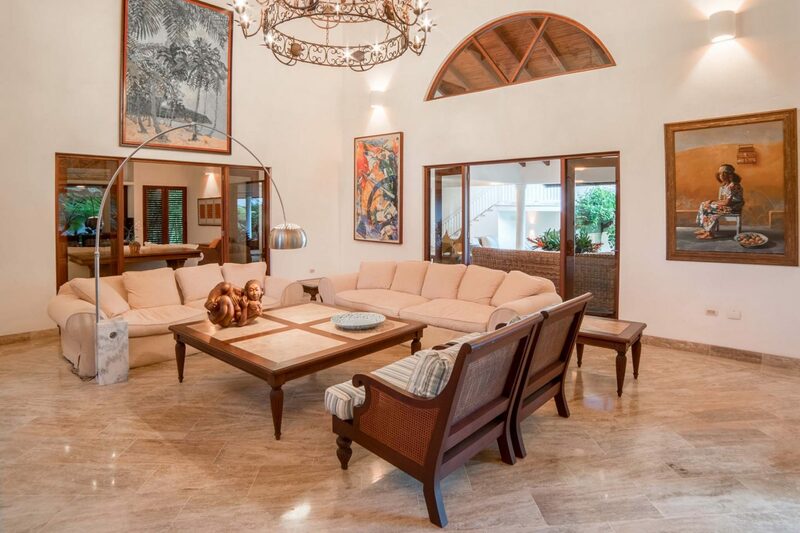 Offering very spacious living rooms, double height ceilings which allow more passage to the natural light, distinctive furniture and personalized interior decoration designed by Patricia Read Baquero, the spectacular outdoor garden area is arranged around a curvilinear pool, a work of art in its own right, where you can swim laps or wade in the shallow beach area; this extraordinary pool will give you years of pleasure both during the day and at night, when lit up. 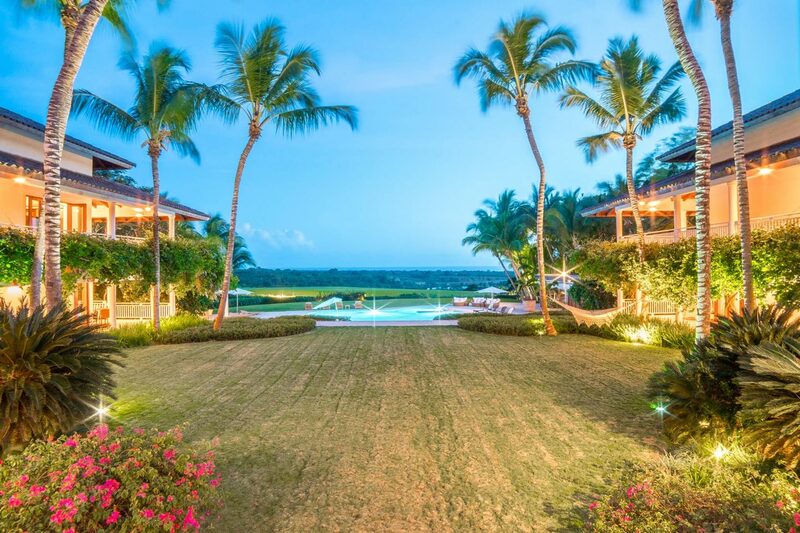 And speaking of the night, magic happens every time the sun sets, and the evening lights go on; one must see this in person to fully understand the magnificence of Vista Chavon 16 at night. 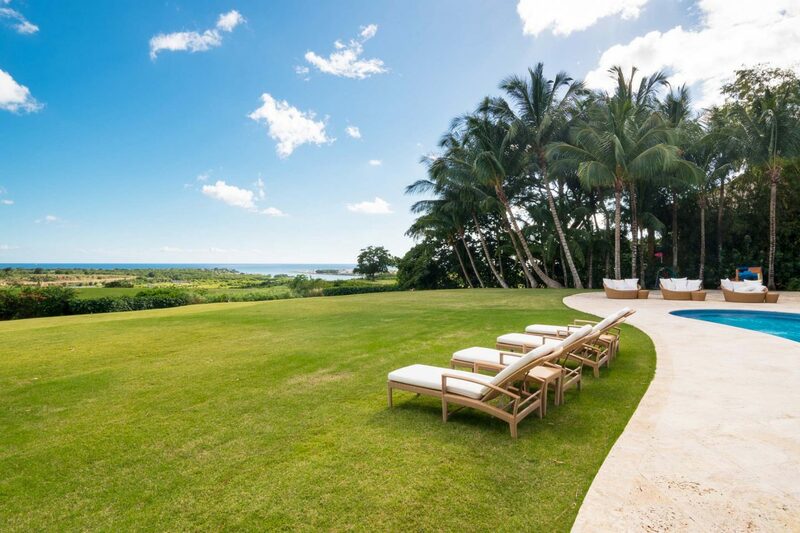 The interior gardens will take your breath away as you enter the main residence when suddenly your eyes are drawn directly toward infinity and you take in the captivating ocean view. 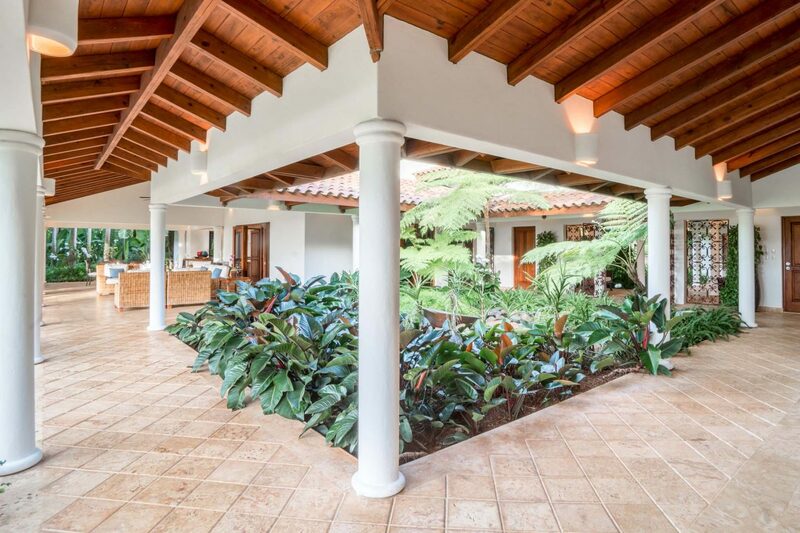 The wings of the home surround and protect you while you are constantly mesmerized by the views and the gentleness of the home itself. 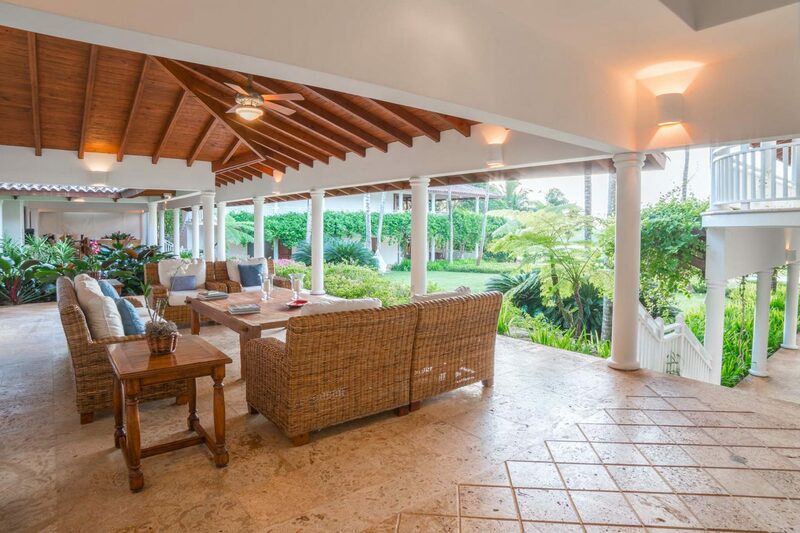 The central garden is ideal for evening meals or for a fun family game; the home sits atop a 4,589 m² parcel of land. 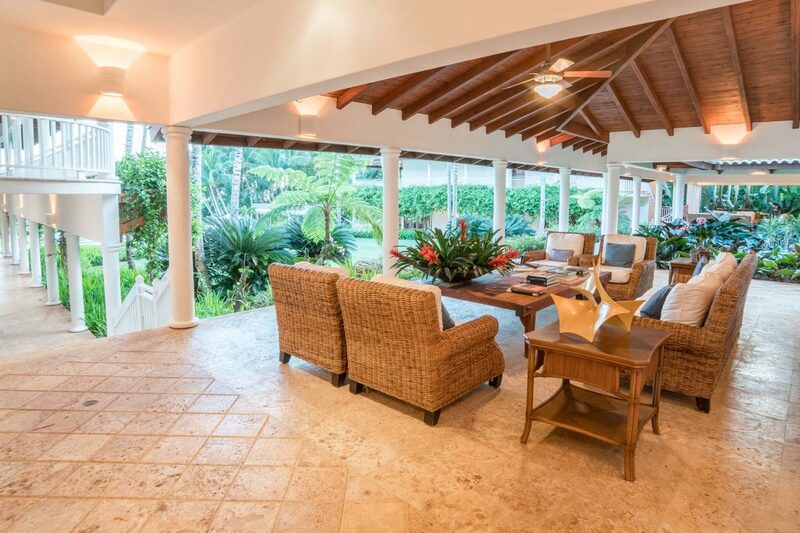 The covered terraces invite you to relax and to enjoy in company of family and friends. 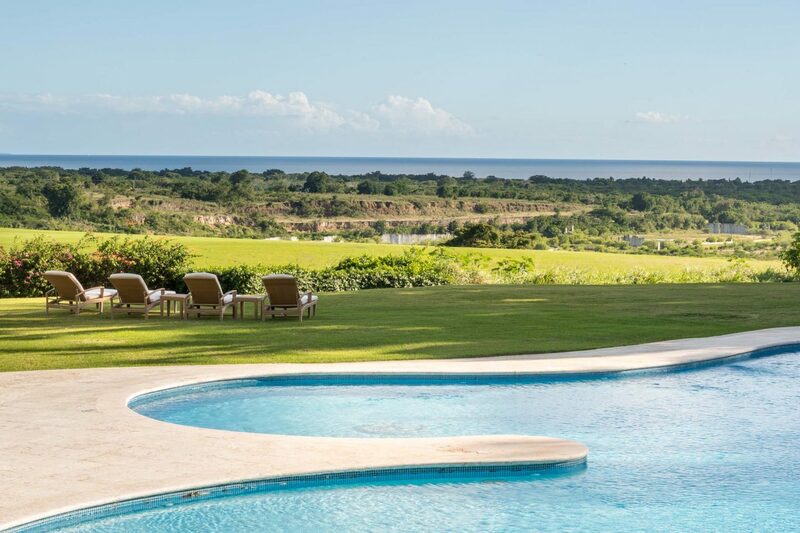 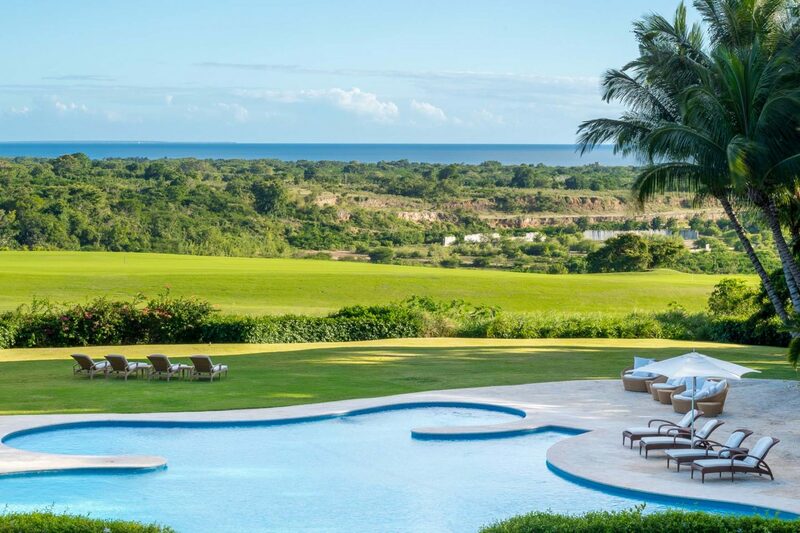 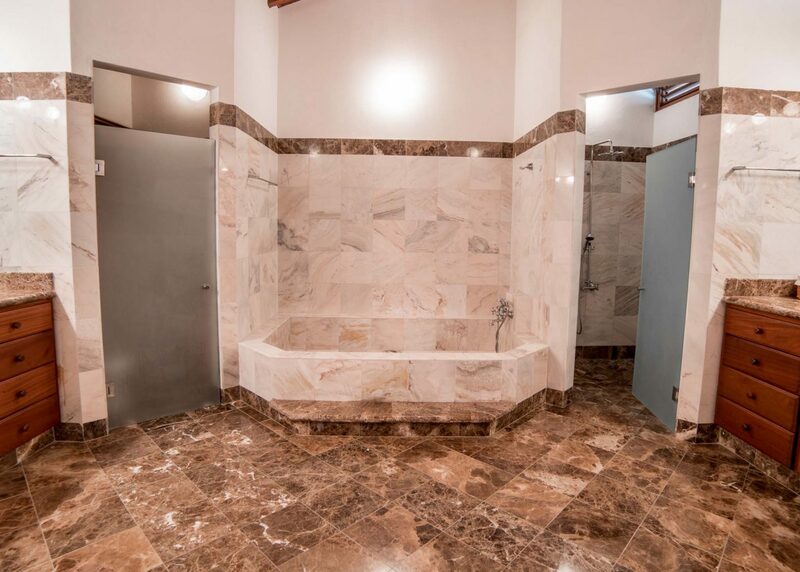 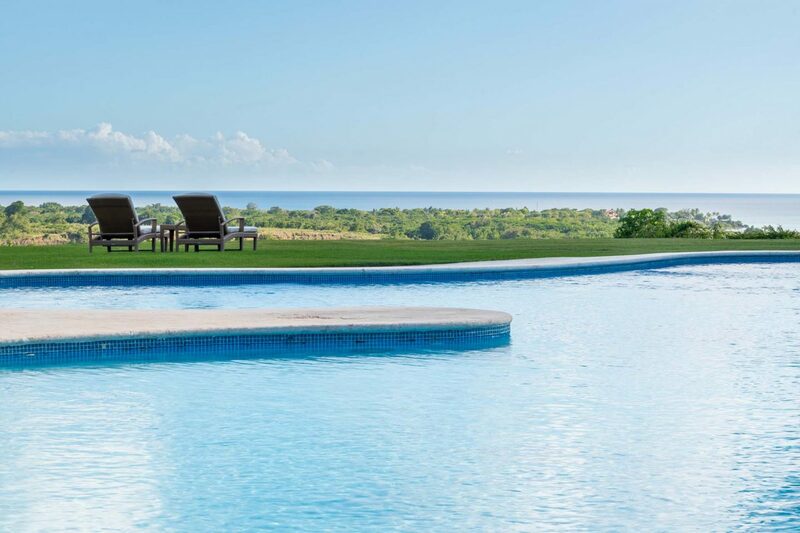 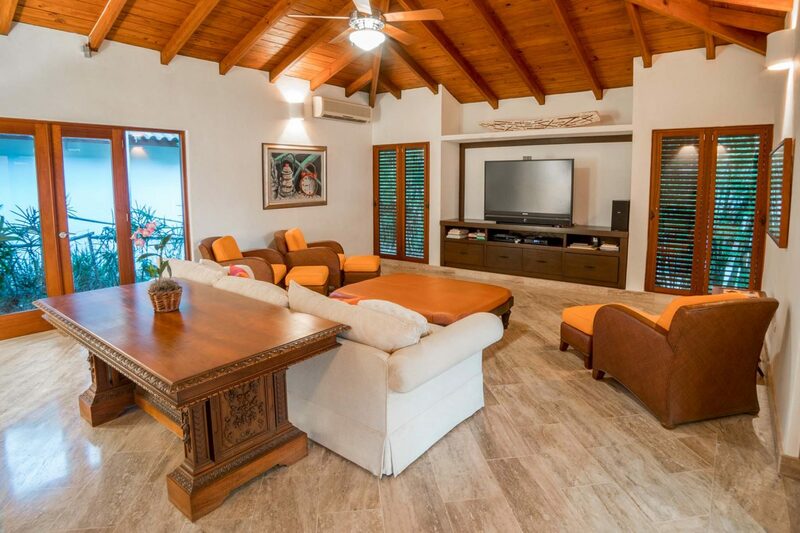 With endless views of the ocean plus unique and captivating golf course views, Villa Solera may be the perfect addition to your accomplished lifestyle. 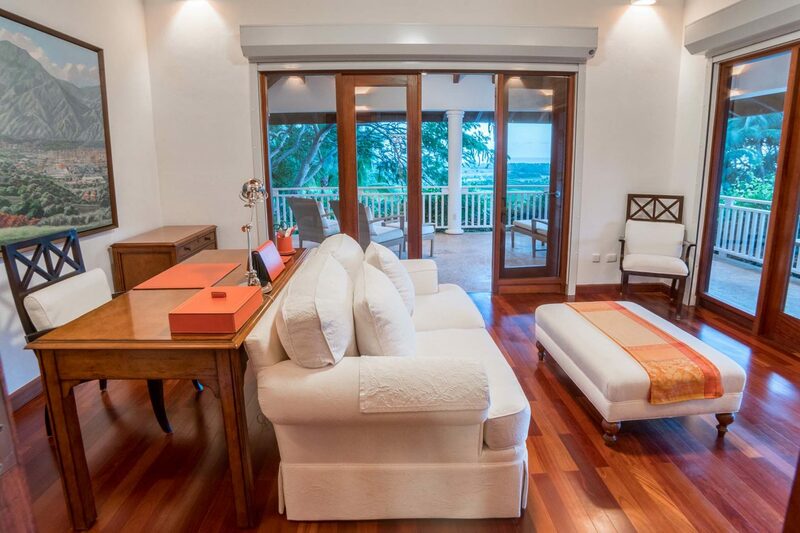 The home’s enduring spirit of relaxed-sophistication is best experienced in person, alongside your family.